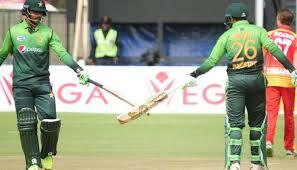 Pakistani cricket team is on tour to Zimbabwe to play the tri angular series and the ODI series against Zimbabwe. 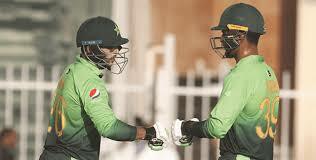 Pakistani opening batsman, Fakhar Zaman and Imam ul Haq have performed well and they have scored tremendously and changed the history of cricket world. 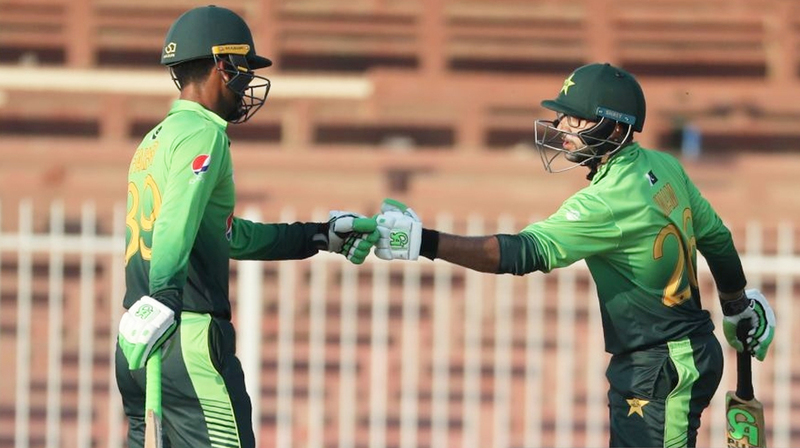 After finishing of tri angular series, Pakistani cricket team started the ODI series and it won all of the 5 ODI matches and completed the white wash against the host team. 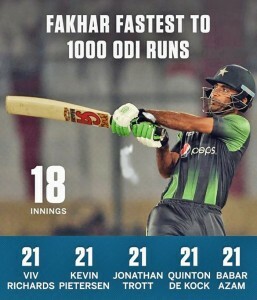 During the series against Zimbabwe, Fakhar Zaman played extraordinarily and he complete his first double century, which is the first double century of any Pakistani batsman. 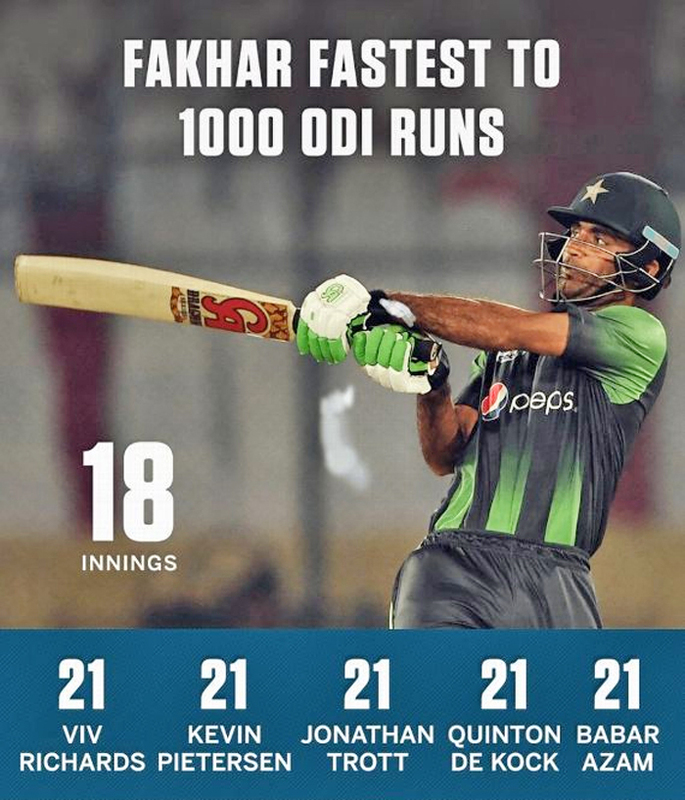 He also made a century and completed the quickest 1000 runs. 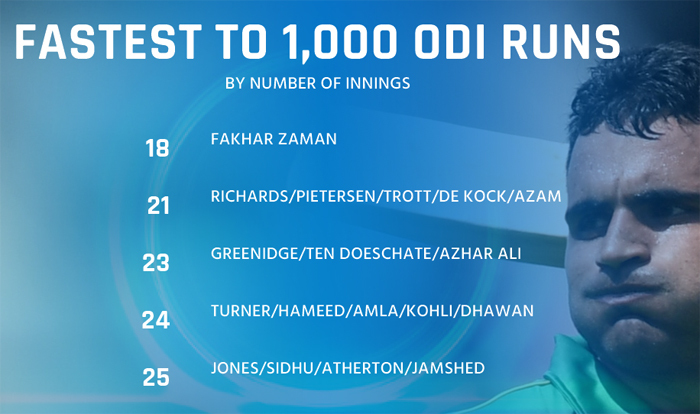 In the 5th ODI, Fakhar Zaman has crossed the quickest 1000 runs in only 18 ODIs as he scored 85 runs and reached to the total of 1065 runs in just 18 One Day International matches.